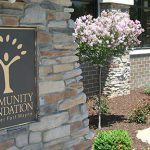 The Community Foundation of Greater Fort Wayne carries out its mission of improving the quality of life in Allen County by investing in the vision, passion, and expertise of area nonprofit organizations, and by working in partnership with our donors to give scholarships to help students further their educations. Applications to the Community Grantmaking Fund and the Clarke Endowment Fund are automatically considered for fulfillment from several very special field of interest funds, as part of our grantmaking process. Additionally, we have three funds that accept separate competitive grant requests. The Barbara Burt Innovative Leader Fund grants dollars to local nonprofits for board members to attend leadership and development training. This training is designed for non-staff board members of 501(c)(3) public charities that provide direct service in Allen County. To apply for funding from the Barbara Burt Innovative Leader Fund, please complete the application proposal form and return it to the Community Foundation at 555 E. Wayne St., Fort Wayne IN 46802. 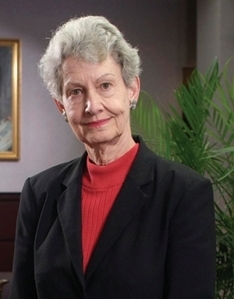 For more than thirty years, Barbara Burt demonstrated outstanding commitment to and leadership of Allen County charitable and philanthropic organizations. To celebrate the contributions Mrs. Burt made to the leadership of nonprofit organizations, both public charities and private philanthropy, the Foellinger Foundation Board of Directors established the Barbara Burt Innovative Leader Fund. Board members may use these funds to access or attend conferences, workshops, or webinars. Requests must be received no later than 30 days before the start date of a conference or a webinar. See PDFs for full information, requirements, and frequently asked questions about the Barbara Burt Innovative Leader Fund. The Knight Foundation Fund invests in civic innovators who help cities attract and keep talented people, expand economic opportunity and create a culture of engagement. And the August Tomusk Foundation Fund makes professional development and research grants to health professionals involved in the field of cardiothoracic and vascular surgery. Expand the sections below for more detailed information. Each fund has its own selection process so please read each carefully for instructions on submitting a request. We steward the endowed assets in our Community Grantmaking Fund and Clark Endowment Fund to meet the changing needs of the community now and for generations to come. 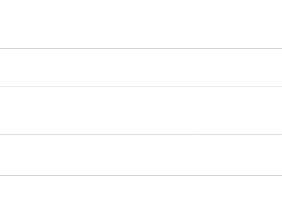 The Community Foundation accepts grant requests year-round from nonprofit organizations serving residents of Allen County, Indiana. 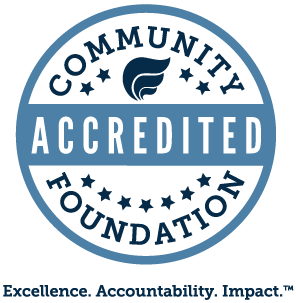 Grant recommendations are approved by the foundation’s Board of Directors four times a year and applicants are notified immediately after the Board determinations. The Grant Guidelines PDF offers a complete description of proposal/funding guidelines and a Concept Letter Fact Sheet form to begin your application process. To celebrate the contributions Mrs. Burt made to the leadership of nonprofit organizations, both public charities and private philanthropy, the Foellinger Foundation Board of Directors established the Barbara Burt Leadership Development Fund. Board members may use these funds to access or attend conferences, workshops, or webinars. Requests must be received no later than 30 days before the start date of a conference or a webinar. See PDFs for full information, requirements, and frequently asked questions about the Barbara Burt Leadership Development Fund. The Knight Foundation Fund invests in civic innovators who help cities attract and keep talented people, expand economic opportunity and create a culture of engagement. We believe that the design of places plays an outsize role in achieving these goals. The Knight Foundation has invested more than $841 million in community initiatives since its creation in 1950. They want their national network of learning to inspire the actions of residents in each of their communities and help build a better democracy and a successful future. The Knight Foundation supports transformational ideas that promote quality journalism, advance media innovation, engage communities and foster the arts. We believe that democracy thrives when people and communities are informed and engaged. 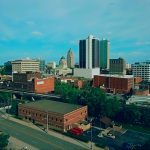 Knight supports Ft. Wayne’s work in revitalizing its riverfront and surrounding neighborhoods and creating a more vibrant downtown to attract talented people and accelerate economic opportunity. Knight invests in Ft. Wayne’s core city vibrancy through supporting projects around entrepreneurship, the arts and smart design. Attract and Nurture Talent: We identify, nurture and network a diverse set of current and emerging leaders from the public, nonprofit and private sectors. We seek to enable these leaders to drive social innovation and contribute to the common good. Enhance Opportunity: We support efforts to build equitable and inclusive pathways to economic opportunity. This includes platforms and resources for entrepreneurs, as well as effortsto reduce social and economic isolation through inclusive public spaces and civic assets. Foster Civic Engagement: We support inclusive and participatory decision making in communities, enabling people to contribute to –and take an active part in–the life of their community. Interested in learning if your project is a good fit for funding from the Knight Foundation Fund? Contact Christine Meek, the Community Foundation’s Director of Community Impact, at 260-969-3318 to discuss your project and for application information. The August Tomusk Foundation, established in 1990, is dedicated to the advancement of patient care, teaching and research in cardiothoracic surgery, vascular surgery, cardiovascular medicine, and transplantation. Originally from Estonia, Dr. Tomusk immigrated to the United States in 1950 and completed a residency at Mount Sinai Hospital in Chicago. Along with Dr. Michael J. Mastrangelo, he established a surgical partnership and completed a fellowship in cardiovascular surgery at the Texas Heart Institute, specializing in that arena of medicine. The rapid evolution of medical advancements allowed him to introduce new therapeutic modalities in Fort Wayne including renal dialysis, the use of ventilators for post-operative respiratory failure, and coronary artery bypass surgery. Dr. Tomusk was a founding member of the Indiana Ohio Heart practice whose members went on to perform the first heart transplant in northern Indiana. The August Tomusk Foundation was initially funded by the surgeons of the Indiana Ohio Heart practice along with gifts from patient testimonials and memorials as well as speaking fees and honorarium fees from the physicians of Indiana Ohio Heart. In recognition of the contributions of Dr. Tomusk and the Indiana Ohio Heart group, the foundation assists non-physician health personnel with continuing education and provides funds for clinical and laboratory research into cardiovascular and thoracic disease. 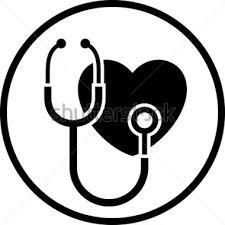 Additionally the August Tomusk Foundation Fund may, at its discretion, provide grants to 501(c)(3) organizations promoting cardiovascular health. 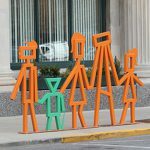 Eligibility requirements for either of the grant opportunities below include those items noted within each grant application and are limited to the northern Indiana and northwest Ohio regions. Professional Development Grants of up to $500 are available for the continuing education of non-physician health professionals involved in the field of cardiothoracic and vascular surgery. The educational opportunity must relate to your career in the field of cardiothoracic and vascular surgery such as a refresher course, continuing education credits, certification requirements, added skill, etc. To apply for an August Tomusk Foundation Fund Professional Development Grant, complete the Professional Development Request Form and return it with the requested documentation to the Community Foundation at 555 E. Wayne St., Fort Wayne, IN 46802. Professional Development Grant requests should be submitted 60 days prior to the education meeting, seminar, or classes that you would like to attend to allow for the review and approval process. Grants of up to $5,000 are available for health professionals in cardiothoracic surgery, vascular surgery, cardiovascular medicine, thoracic medicine, transplantation, and the underlying sciences. Past research grants have included laboratory investigations involving pulmonary preservation for transplantation, theological doctorate work for hospital chaplains, and fellowships in cardiovascular surgery for foreign cardiovascular surgeons at the Lutheran Heart Center. Additional grants have supported clinical research including whether or not patients with previous malignancies can undergo successful heart transplantation, measurement of bone loss (osteoporosis) in long term survivors of heart transplantation, investigating effective ways of avoiding pneumonia in patients who undergo coronary artery bypass surgery; and an investigation of smoking cessation behaviors in patients following a lung cancer diagnosis. To apply for an August Tomusk Foundation Fund Research Grant, review the Guidelines for Research Proposal Applications and complete the Grant Request Form for Research Proposals; return the form with the requested documentation to the Community Foundation at 555 E. Wayne St., Fort Wayne, IN 46802. Research Grant requests should be submitted as soon as possible to allow for the review and approval process.